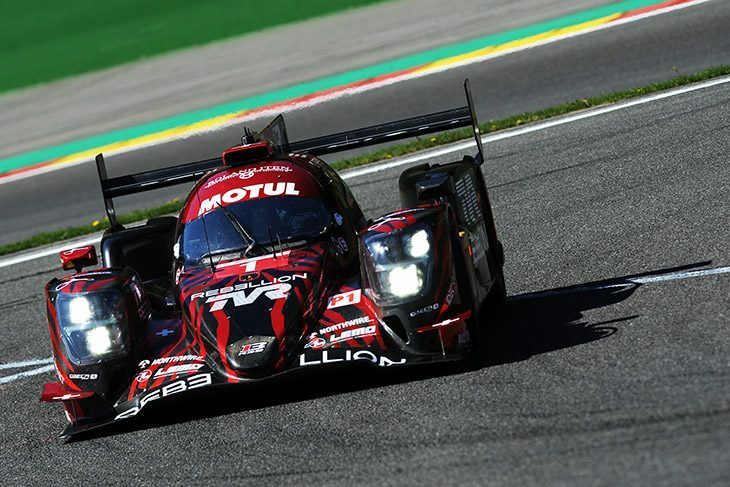 In LMP1, the final Free Practice session for the opening round of the FIA World Endurance Championship ‘Super Season’ saw a new face on top of the pecking order with the #1 Rebellion taking the top spot. The #1 Rebellion R-13 Gibson with Neel Jani on board clocked in a 1:57.120 to secure P1 in the session. This is the first time this weekend that the privateer LMP1s have been able to best the two Toyota TS050s. 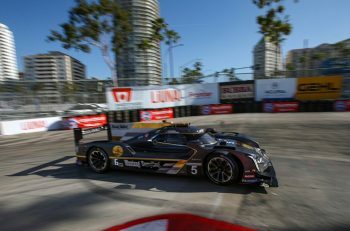 However, that the times set by the lead Rebellion are a second off the fastest lap set by a Toyota yesterday, which was a 1:56.172, and a long way off last year’s times set by the Japanese marque’s challenger. Jani’s time was however, nearly two seconds faster than the R-13’s previous best time this weekend, which was a 1:58.8 during FP1. 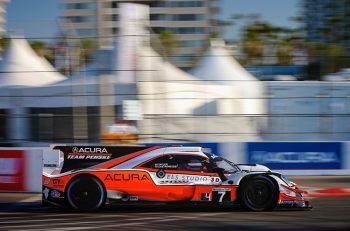 Second in class and eight tenths of a second behind was the #7 TS050, Mike Conway put in a time of 1:57.939 to put that car just two tenths of a second ahead of the third place car. The sister Rebellion R-13 completed the top three, this time #3 being driven this weekend by Mathias Beche, Thomas Laurent, and Gustavo Menezes, with Laurent setting the pace in that car. Once again both of the CEFC TRSM Manor cars completed only an installation lap in this session, which means their total number of flying laps competed this weekend remains at zero. 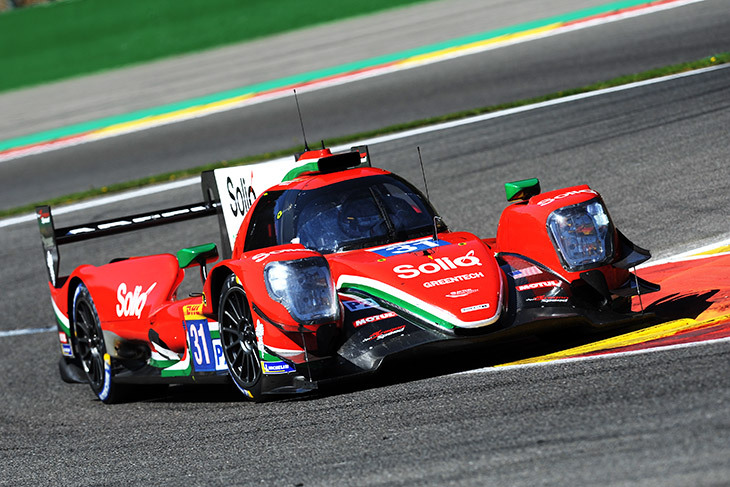 In LMP2 it was the #31 Dragonspeed Oreca 07 once again on top of the class. Pastor Maldando set a lap time of 2:02.281, this is the third straight session that LMP2 has been topped by Maldando and the #31 Oreca. Second in class was the #26 G-Drive Racing Oreca 07, with Jean Eric-Vergne setting a time of 2:02.481. Rounding out the top three in class was the Mighty #38 of Jackie Chan DC Racing, a 2:03.357 from Ho Pin-Tung being that car’s best time from the session. There was one incident in the class during FP3 with the #36 Signatech Alpnie A470 coming to a stop at Campus corner, though the car continued without assistance from marshals and even continued its stint with Nicolas Lapierre electing to not bring the car back to the garage after stopping. 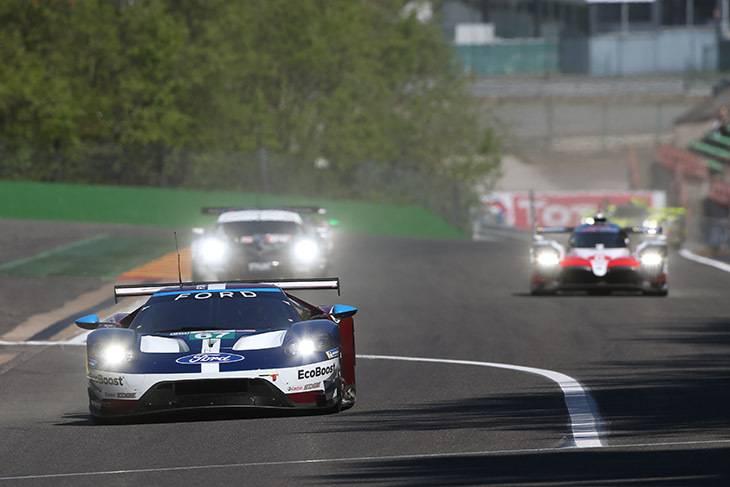 Meanwhile in GTE Pro it was a similar story line to Friday’s sessions at the top, with the #67 Ford GT setting the pace. The #67 lead the class in both FP1 and FP3, with Andy Priaulx setting a time of 2:13.693 in the latter session. Second in the class was a new face however, with the #82 BMW M8 GTE cracking into the top three for the first time this weekend. Tom Blomqvist set the car’s time of 2:14.225. Third in GTE Pro was the #66 Ford GT, this time it was Olivier Pla on board who clocked in a 2:14.249, good enough to beat both of the Porsche 911 RSR GTEs who wrapped up the session in fourth and fifth. Aston Martin once again struggled with their new Vantage AMRs, with one or both cars failing to beat the best time set in the GTE Am class for the third time this weekend. In GTE Am the Porsche 911 RSR GTEs once again seemed to be the classes strongest showing. 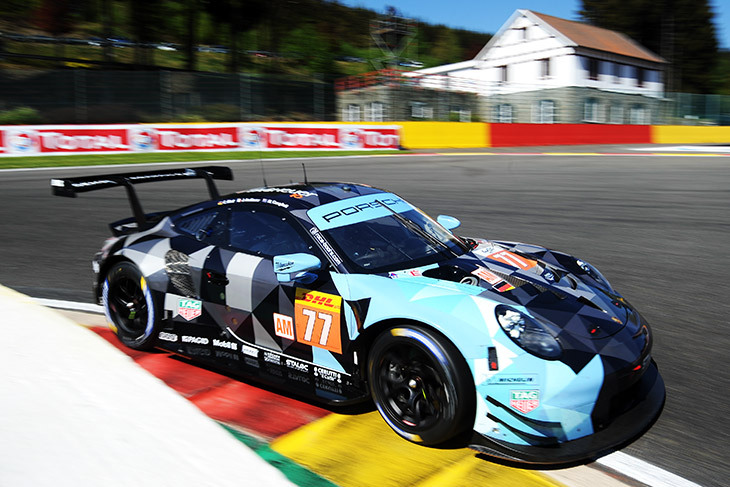 The #77 Dempsey-Proton Porsche 911 RSR GTE set the fastest time of the session with Matt Campbell on board. The sister-car, the #88 Porsche 911 GTE RSR wrapped up the session closely behind in second place with a 2:15.586 from Matteo Cairoli being that car’s best time. Rounding out the top three in GTE AM was a new face to the WEC paddock, TF Sport who this year moved up from the European Le Mans Series concluded FP3 in third after a 2:15.778 from Euan Alers-Hankey. Next up is qualifying for the Total 6 Hours of Spa-Francorchamps begins at 15:00 local time.